What guitar song chords belong together? 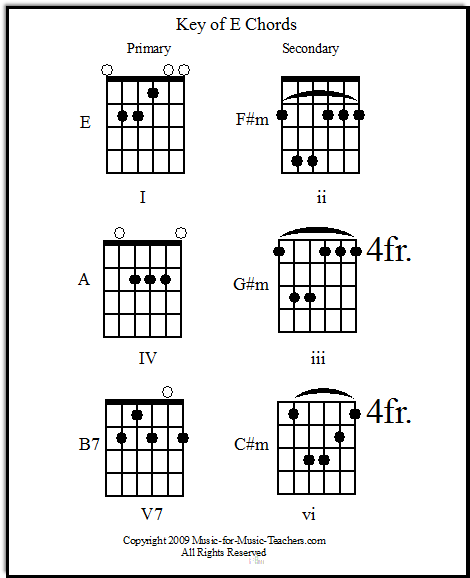 These free guitar chord charts will show you the most common chord families. If you've been playing guitar for even a short time, you've probably noticed that some chords always seem to be associated with each other. D7 is (almost) always followed by G. G7 is (almost) always followed by C. C7 is (almost) always followed by F. F7...well, I could go on and on. 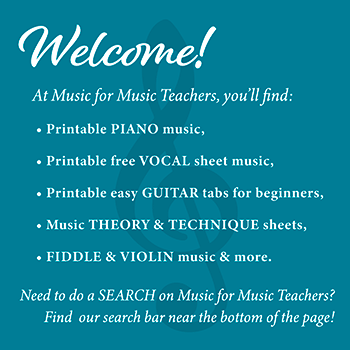 There are lots of music theory sites out there on the web, many of which will tell you far more than you ever wanted to know. I will tell you that the I, IV, and V (1, 4, and 5) chords are enough for most songs such as church hymns and folk songs, with the ii, iii, and vi (2, 3, and 6) chords adding color. For now, here are the main groups of chords most beginning guitarists, especially folk and church guitarists, will find useful. WHAT İS LİCK AND RİFF AND THE DİFFERENCES ? Do You Have These Charts in Additional Keys? How to Play 5 Strings on the Guitar with only 4 Fingers?